Description: Estimates of collision resistance of the universal hashing on the best algebraic curves with a large number of points and the maximal curves. Khalimov, G.Z. 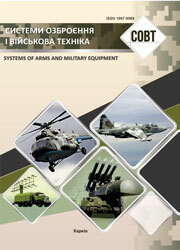 (2013), “Otsenki kollizionnoi stoikosti universalnogo kheshirovaniia po algebraicheskim krivym”, Systems of Arms and Military Equipment, No. 1(33), pp. 0-140.